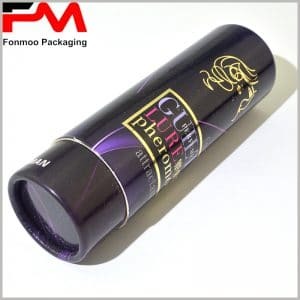 The cardboard tube packaging is a round product package made of wood pulp that has been used in a variety of industries such as cosmetics, perfumes, essential oils, food and gifts. 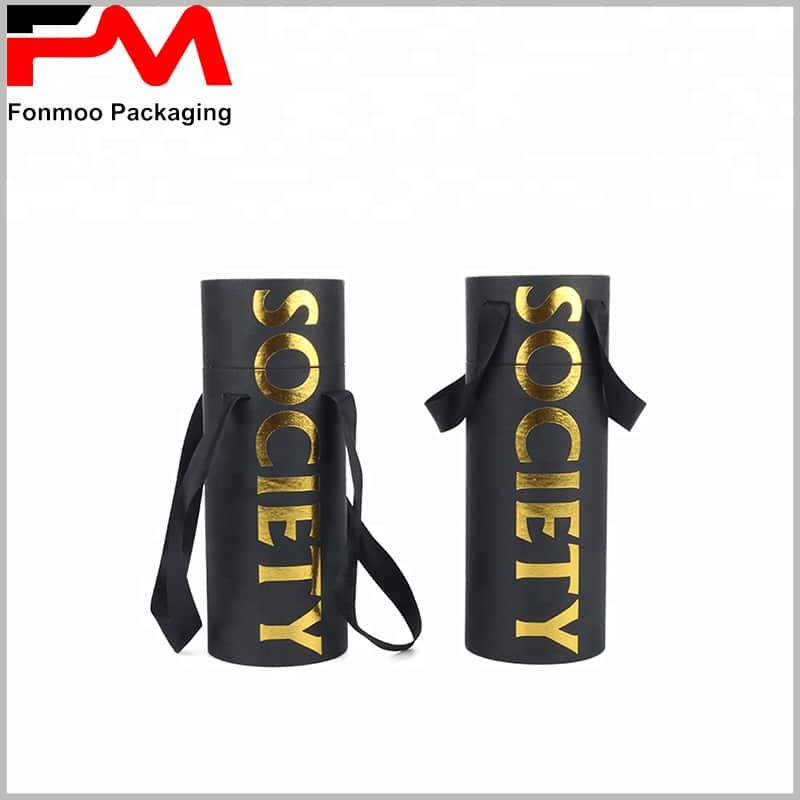 It is easy to find a variety of background color paper tube packaging, white, red, brown or black, with a variety of printing processes, is more packaged display content, can reflect product features and brand value. Since we offer custom packaging, the diameter and height of all cylinder packages are determined by the product. 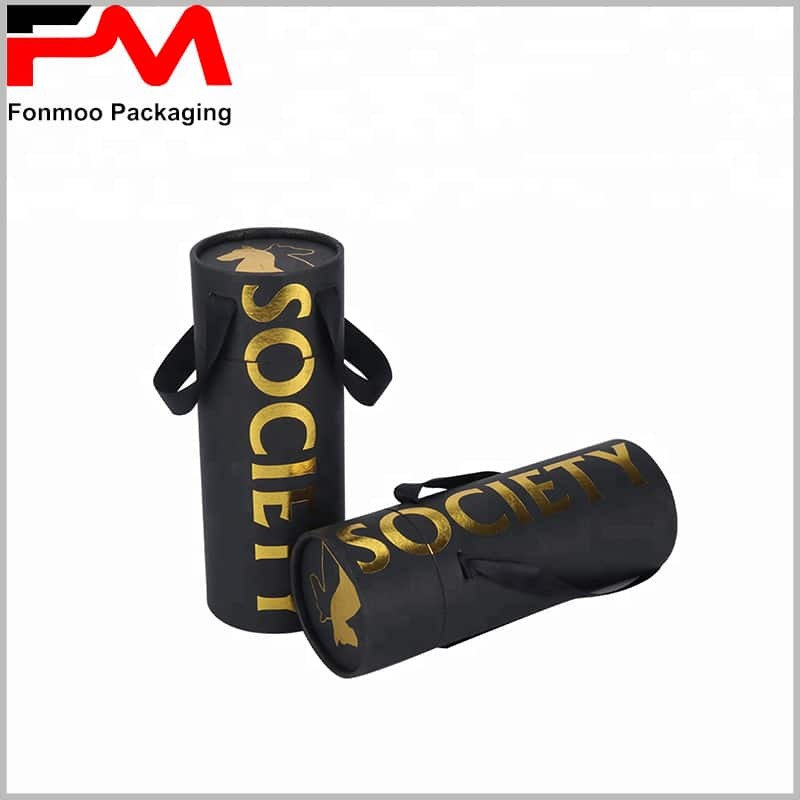 The style of the packaging is provided by you. The internal use of EVA or sponge inserts is also determined according to the product. There is absolutely no need to worry that the packaging does not match your product. Different packaging designs and choices of paper materials can lead to different effects. The same is black paper tube packaging, using black cardboard, black imitation leather paper, black touch paper, etc., visual effects and touch effects are not the same, the product features reflect are not the same. The surface text uses a bronzing process, which is very helpful for the brand’s high-grade; even U gold powder can create a golden visual experience on the hot stamping text. The top cover LOGO is also coordinated with the overall packaging printing process using a bronzing process. 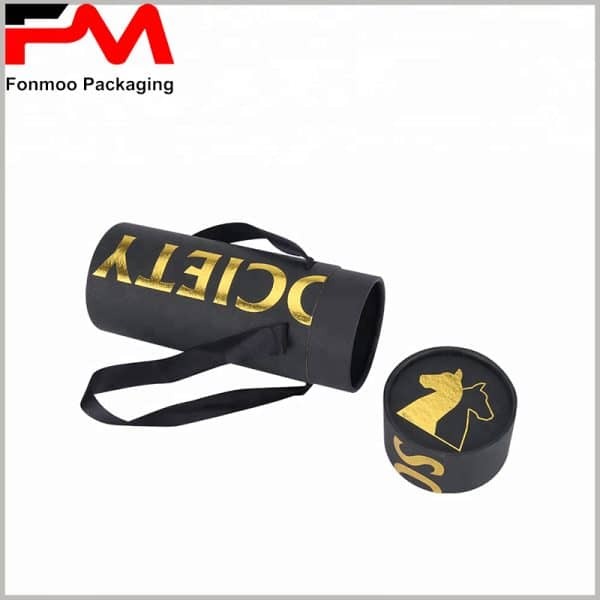 In order to make the paper tube package more portable, we can design a black hand strap. 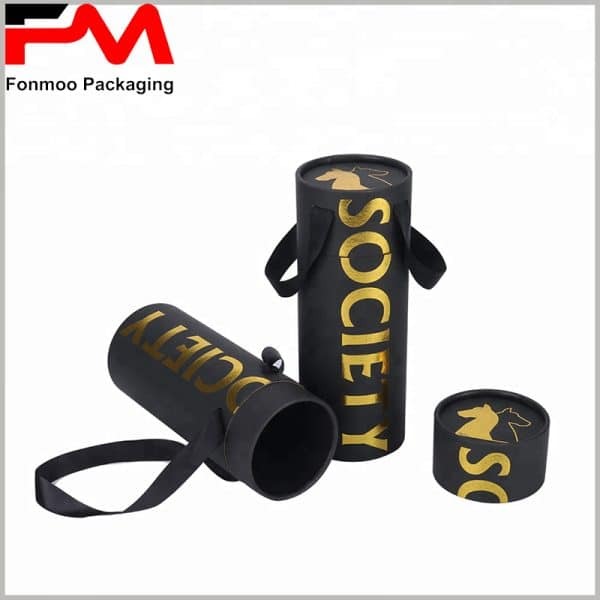 More types and uses of black cardboard tube packaging, you can visit our official website www.tube-boxes.com, or send us an email to tell us your needs.